B-Sides Box Sets, USA, 2018. 50 pp., 47 illustrations, 3x3¾x1¼". Numbered edition of 1000 copies, SIGNED by Ed Templeton. 50 individual cards, 47 photographs. Housed in a 3-7/8 x 2-7/8 x 1-1/8 inch two-piece archival acrylic box. 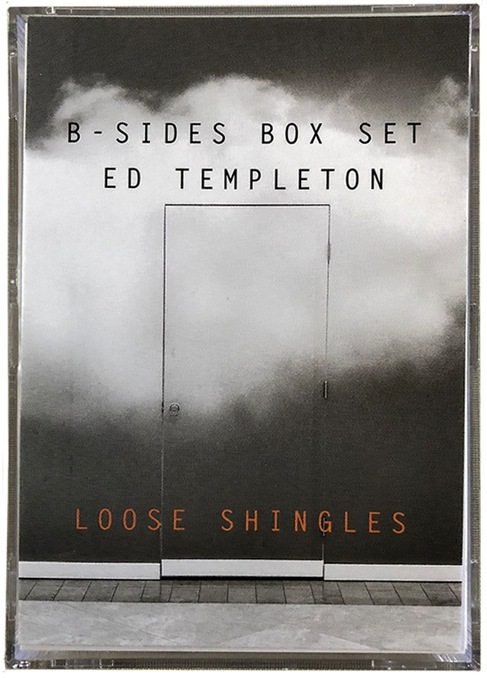 We are very excited to announce the Ed Templeton Box Set, Loose Shingles, is here. It's an honor to have the very storied Ed Templeton be the subject of our 3rd Box Set. Loose Shingles displays alternate photos and outtakes from Templeton's many projects over the last few decades, including Teenage Smokers, Teenage Kissers, and other editorial and street shots. This Box Set also includes a new element: Templeton has hand drawn the backs of each photograph, a detail that provides more information on the images and adds a personal touch.